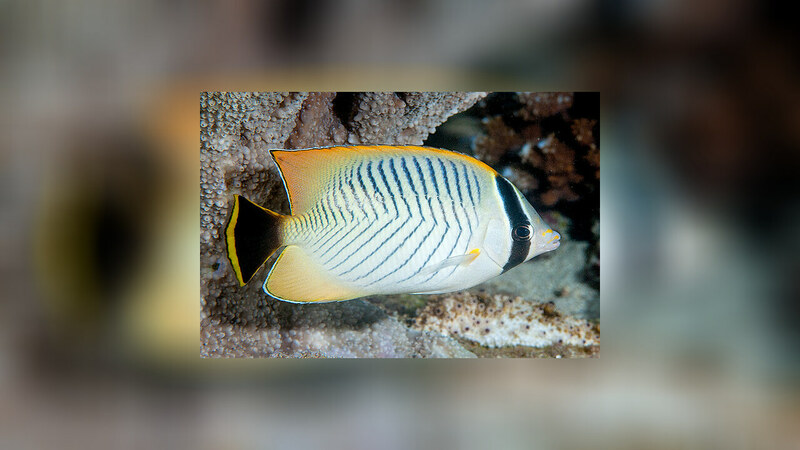 Chaetodon trifascialis also commonly referred as the Chevroned Butterflyfish is widly ditributed to the Indo-West and Central Pacific, from East Africa, north to Japan, south to Australia, he has a white body with black chevron markings on the side. 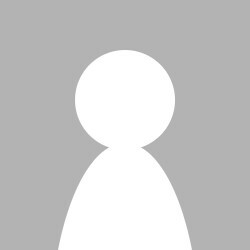 A black bar passes through the eye and the caudal fin is black with a yellow margin. 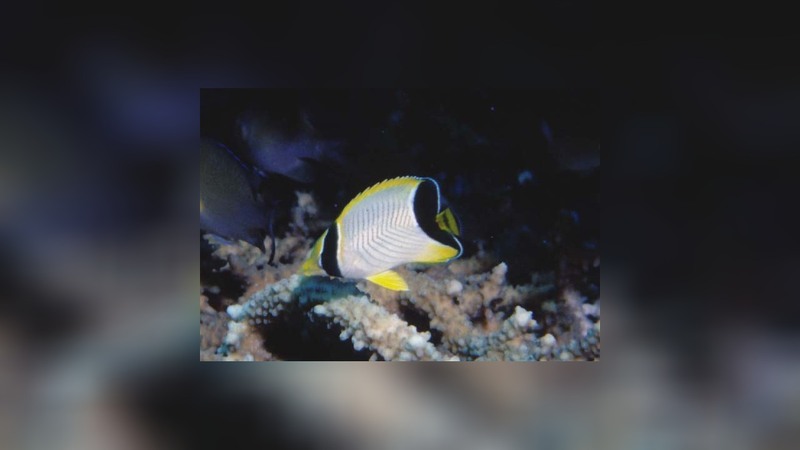 Juvenile Chevroned Butterflyfish are similar to the adults, except they have a yellow caudal fin and a black bar across the rear of the body. 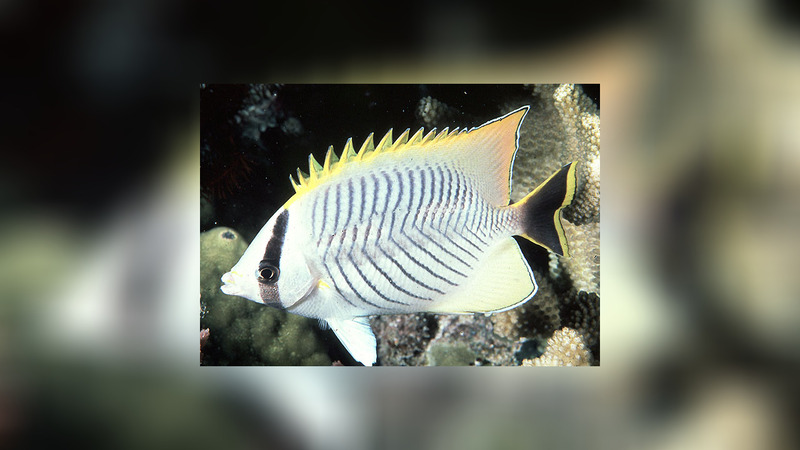 The Chevroned Butterflyfish inhabit inshore and offshore coral reefs and lagoons.Mostly seen as a solitary individual as well as in pairs. 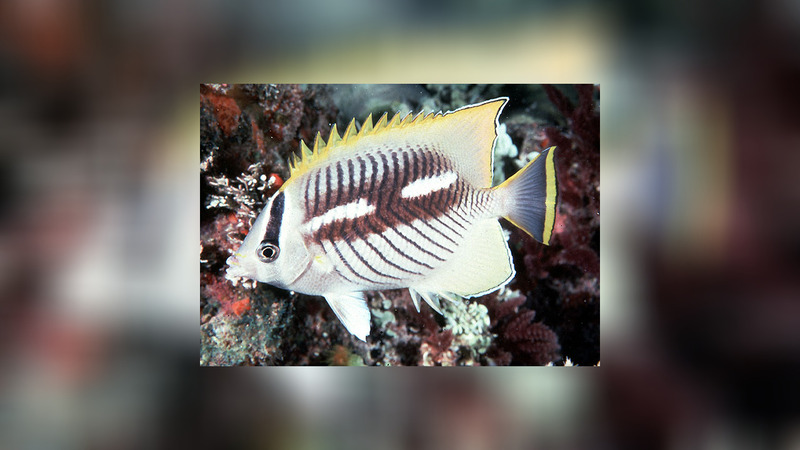 Chaetodon trifascialis is highly territorial and will defend its territory from other coral-eating butterflyfishes and members of its own species. 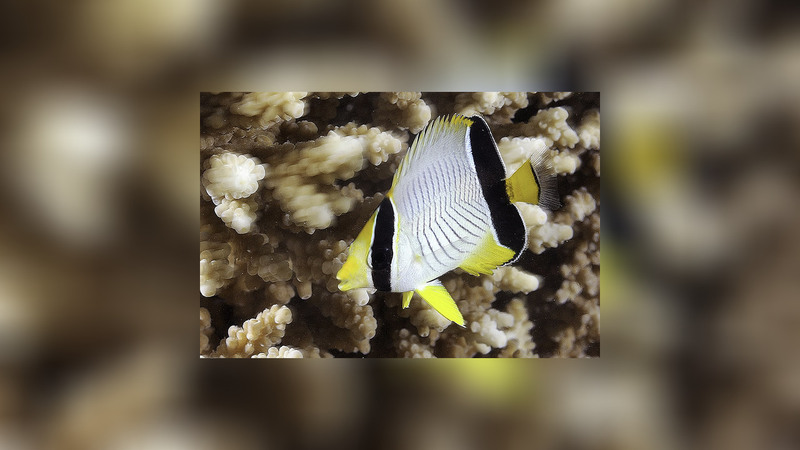 The Chevroned Butterflyfish feeds on the mucous and polyps of the Acropora corals. As with all of the obligate corallivore Butterflyfishes, it should be left on the reef unless an expert aquarist can somehow meet its dietary needs.